Keurig K-Cup Storage Dispenser just $8.99! Save 64%! 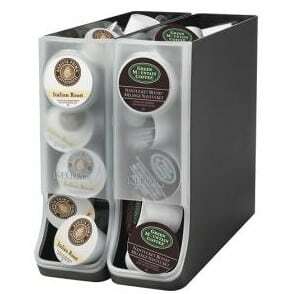 You can currently get this Keurig K-cup Storage Dispenser for just $8.99 at BestBuy.com. That is a savings of 64% off of the regular price of $24.99. Shipping is FREE! Would make a great gift if you don't need one for yourself! Makes it easy to fill with your favorite K-Cups. Ooooh!Would have loved that one but it says store pick-up only and “not available” at my Best Buy :(.